Sen. Olympia Snowe waves goodbye while husband and former Maine Gov. John McKernan applauds her in March 2012 at a press conference in Portland. AUGUSTA, Maine — A federal judge in western Pennsylvania on Monday kept alive a former employee’s lawsuit alleging fraud by Education Management Corp., a for-profit education corporation with which former Maine Gov. John McKernan has been affiliated since 1999. In a 39-page recommendation, Magistrate Judge Cynthia Reed Eddy rejected arguments that a former admissions counselor’s allegations that Education Management Corp. and its affiliates engaged in a “multifaceted, corporate-wide scheme” to capture as much money as possible from financial aid programs administered by the U.S. Department of Education lack credibility. The suit results from information provided by Jason Sobek, who worked for EDMC’s South University branch in Pittsburgh from June 2008 until November 2010. Sobek alleges that employees of the firm “routinely and falsely certified to DOE … that they were in compliance with all conditions of eligibility to participate in the federal loan/grant funding streams to which they had agreed to be bound,” Eddy’s recommendation states. Sobek first made the accusations in January 2010. Since then, the federal government has sought and received extensions to investigate Sobek’s claims, but the federal government is not a party to this suit. Sobek filed an amended version of his complaint on Feb. 12. On May 29, the defendants filed a motion to dismiss the case on the grounds that it’s based on speculation. In her recommendation, Eddy ruled that at least three of six allegations in the suit rely on more than speculation. A fourth merits consideration in a separate court action, she determined. 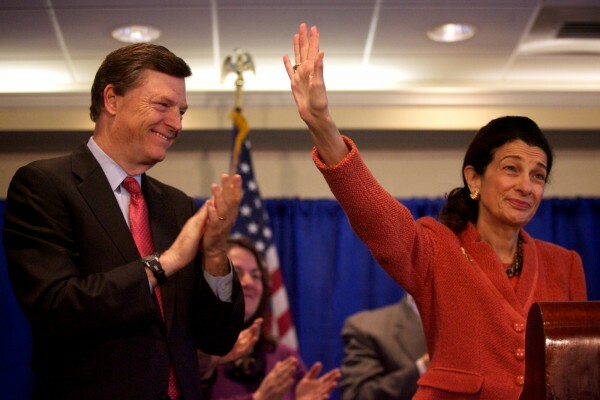 McKernan, who is married to retiring U.S. Sen. Olympia Snowe, has been a director of EDMC since 1999 and served as its chairman of the board from June 2006 until August of this year. He served as the corporation’s CEO from September 2003 to February 2007. He originally was named personally as a defendant in the lawsuit, but has since been dropped as a defendant. EDMC learning institutions include Argosy and South universities, Art Institute and Brown Mackie College campuses nationwide. Eddy rejected arguments by lawyers representing EDMC and its affiliates that Sobek’s claims lack sufficient credibility to be heard in court because his tenure as an employee of the company was too short and that he did not work directly for Argosy or the Art Institutes. Sobek’s “claims survive despite his limited time (two and one-half years cannot reasonably be considered a ‘sliver’ of time) and the fact he did not work directly at Argosy or the Art Institutes,” Eddy wrote. She recommended dismissing two of six allegations leveled by Sobek, citing no evidence that Pittsburgh-based EDMC misled students about the full costs of education and that the firm failed to notify the federal government when students receiving grants had left school. District Judge Terrance McVerry, who is presiding over a separate whistleblower lawsuit filed by the U.S. Department of Justice and 11 states, must approve Eddy’s recommendation. Plaintiffs have until Nov. 9 to file objections. Between 2003, when McKernan became CEO of EDMC, and March of this year, the firm received $11 billion in federal grants and loans that students have used to pay their tuition, according to the complaint filed for the federal whistleblower case. Under the federal False Claims Act, the government can recoup three times the amount of money collected through false claims.